Big folding mirror for over a washbasin. Faithful replica of the model that was made at the beginning of the 20th century by the Paris firm JB. All three mirrors have bevelled edges and a nickel frame. 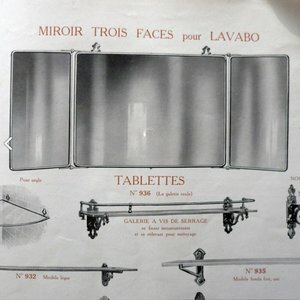 The mirror is fixed to the wall with small, elegant fixing points. This trifold mirror with all its reflections of light and images gives a beautiful optical effect in the bathroom. Besides that it's very practical because you can see the side of your face. 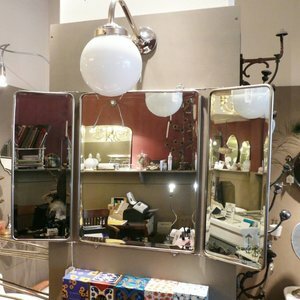 You can keep the whole mirror flat to the wall but it's even more beautiful to keep the two sides at a small distance from the wall. 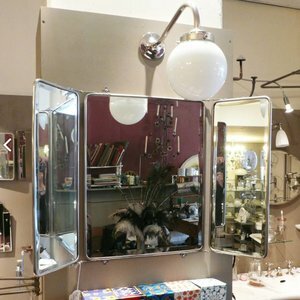 The mirror is 85 cm when it's completely opened. 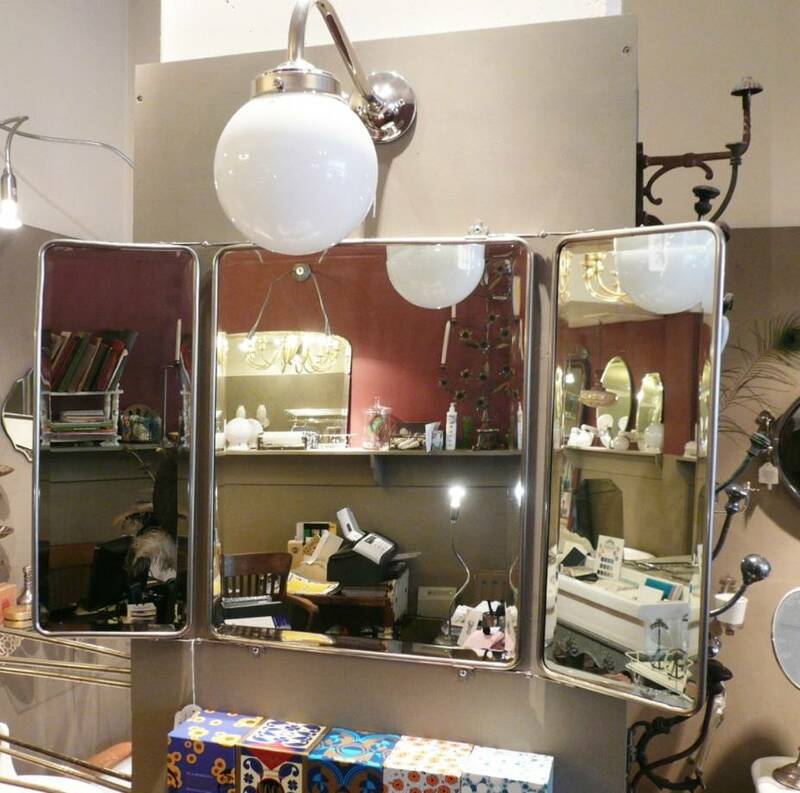 The mirror in the middle is 40 cm, the two at the sides 20 cm each. The hight is 51 cm.